Back in January we saw a couple of games teased by PopCap, the maker of some great iOS titles. (Anyone ever heard of Bejeweled?) Now, we can look forward to them bringing some of those titles to Android, courtesy of the Amazon Appstore. And as you will see in the press release below, PopCap has signed an exclusive contract with Amazon to hold their first titles and not on the Android Market for a two week period. 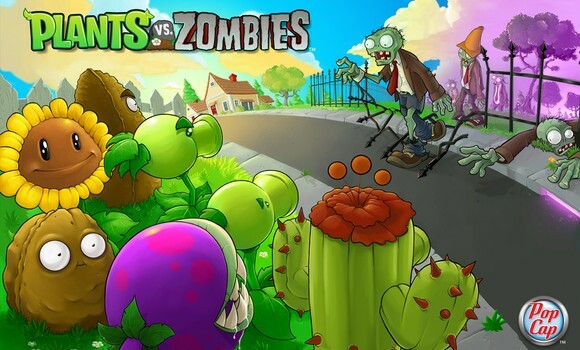 Plants vs. Zombies will be one of those and is slated for release near the end of the month as a free app of the day; then continuing afterwards to be modestly priced at $2.99. This is a release which we know a lot of people have been waiting for – another great game in the bag for Android. This also marks the second time that the Amazon Appstore has had an exclusive on a big time game.